Caroline Eva (Connie) Mraz, age 105, of Green Bay, passed away Tuesday, January 22, 2019. 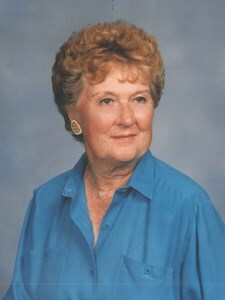 She was born June 21, 1913 in Nekoosa, WI to the late John and Albertina (Johns) Lawrence. Shortly after her birth, the family moved to Green Bay where she lived the rest of her life. She was a proud 1930 mid-year graduate of Green Bay East High School. Caroline married Carl Mraz, October 16, 1939 and they were blessed with a daughter, Connie Schuler. An active member of the community, Caroline was a member of Service League, Antiquarians, Grace Lutheran Church and Oneida Golf and Country Club, where she golfed into her 90s. As an avid Packer fan she was one of several women in the community who solicited donations from local businesses to keep the Packers in Green Bay. She loved sharing her "Ice Bowl" stories with her grandchildren as well as her experience at Super Bowls I & II. She is survived by her daughter, Connie (William) Schuler; granddaughter, Tina (Larry) Campbell; grandson, Christopher (Amanda) Schuler; great-grandchildren: William and Michael Campbell, Leo and Cora Schuler; nieces and nephews, honorary son, Steve Horn, and sister-in-law Patricia Mraz..
She was preceded in death by her parents, husband, 5 brothers and 4 sisters. Visitation will be held at Grace Lutheran Church (321 S. Madison St., Green Bay), Wednesday, February 6, 2019 from 10 to 11 AM. A funeral service will follow at 11 AM. Burial will be in Woodlawn Cemetery. In lieu of flowers please consider donations to the Salvation Army or Golden House. Special thanks to the wonderful staff of Autumn's Promise and Unity Hospice for the loving, respectful care. To leave a message or memory for Caroline's family, please click the Share Memories button above. Add your memories to the guest book of Caroline Mraz. We are sorry to hear about the passing of your mom. Our thoughts and prayers are with you at this time. Connie, please accept my condolences on your mom's death. I have so many fun memories of her over the years. She was a delight, and I'm happy you were able to spend so many wonderful years with her. Over the years we’ve heard so many joyful stories from Tina about her Nan. Although we never met her, she sounds like she was bigger than life. Our deepest sympathies for your loss. I am so sorry for your loss, but how wonderful that you had your Mother for all these years! The second I saw her picture, I knew it was a relative of yours even without reading her name -- you look so much like her, it's amazing. I guess no matter when it happens, it's hard to lose a loved one, and I wish you comfort and peace in the days ahead. Sincere blessings to the Caroline (Connie) Mraz Family, especially daughter Connie. What memories were shared over the years! Much fun! Our sincere sympathy to you on the loss of your Mother. Your service will be a celebration of her life, how very lucky you're to have her live 105 plus years. Surely she has been surrounded with lots of love to live such a wonderful life. That is quite a "Lady". Please accept our prayers. I grew up around the corner from the Mraz's. Played in their house with Connie and remember her father Carl, who at that time was mighy tall, dark, and handsome. Mrs. Mraz, was a small petite woman and their daughter is a total image of her. I remember Mrs. Mraz was one our girl scout leaders at Roosevelt School. I always struggled tying that square knot on our yellow scarf. Saying the girl scout promise, etc. It was a good experience for all us and thank Mrs Mraz for giving me guidelines to help throughout my life. If I wasn't so far away Connie I would definitely be attending her funeral. My deepest sympathies to you and all your family....she will be missed, but am glad to know she is at peace. Thinking of you all. Warmly, Nancy Pfeiffer Kirt. Connie, your mother was a sweetheart. How fortunate you, your children and grandchildren had her in your lives for so many years. I love that Steve is an “honorary son.” I know he adored her. Just wanted to send my condolences and let you know I’m thinking about you.